I went fishing the other day. After a couple of hours of driving around in circles exploring the area and not really finding anything interesting, I pulled up alongside another body of water that, at it’s deepest, was almost shallow enough to stand up in. I spent the rest of the day getting soaking wet, snowed on, I fought with the wind, I got blown around, I was way colder than I had thought I would get in the middle of the summer and, yes, I even caught some fish. The important thing, though, is that I went fishing the other day and it was fantastic. As much as you’d expect that be a normal, maybe even a daily occurrence for someone starting a fishing blog, I haven’t been fishing in over a month. Sure, I have had a few stolen moments here and there to wet a line, usually in situations where I end up being fairly anti-social for five minutes just to see if there’s anything in the water, but I haven’t managed to get out and do any serious fishing for a while. Summer has a tendency to be like that, though at least around here. My wife works at a local winery and summer is her busy season. Not only that, but this year we welcome our first child into the world, which has been great, but when it comes to sitting still and not rocking a canoe, this little girl isn’t going to win that award any time soon. It’s not the end of the world that I hadn’t been out in a while, not by a long shot. I love the time I’ve spent with my family and I’ve been enjoying my summer quite a bit. Like a lot of fisher folk, though, I longed to get back out there. Over the course of the last few years, since moving to British Columbia, really, fishing has become something that has taken up more time in my life. I’ve always been obsessed with fish and fishing–in fact as a kid I would devote entire days to catching a single fish–but since leaving Toronto and moving to an area that has easy access to thousands of lakes, I’ve gotten a little more serious about it. Part of it is that it’s a great way to explore, which is one of my favourite things to do. It’s great to pick a lake, do some research about how to get there–usually by studying maps–and then to attempt to find the lake. A big part of it, though, is that fishing slows me down, at least a little bit. For years I’ve been kind of restless when I fish. I find somewhere, I make a few casts and I move on. 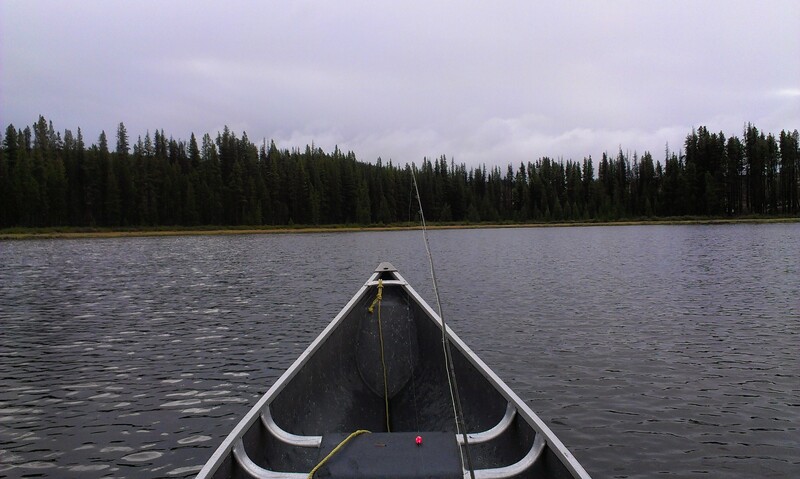 I have a tendency to believe that if there’s fish to be caught, you’re going to find them relatively quickly. That’s always been the case with the fish I’m used to targeting and it’s hard to shake long-held beliefs like that, especially about things like fishing. It’s a little different with trout, though. I’ve found that if I force myself to stay in one place, to leave my fly on, or in, the water just a little bit longer I actually enjoy myself more. I may not catch more fish, but when I’m not packing up and moving every five minutes, or pulling anchor, or jumping back in the car, I become more relaxed and, as I said, I have more fun. Much like fishing, it’s been a while since I’ve really done much writing, at least for myself. My days are filled with words, when I’m not busy chasing after my little girl, but they have been other people’s words, not mine. To some, it might seem like a bit of a moot point, writing is writing after all, but it’s just not the same. It’s been close to two years since I’ve really done any writing for myself and that’s far too long. I’d been toying with the idea of a blog for a while now, but I had always managed to come up with a reason not to or a reason to put it off. Then two things happened. The first was my buddy Steve told me that while I may not have the expertise that some have, I do have a different perspective and way of telling a story. 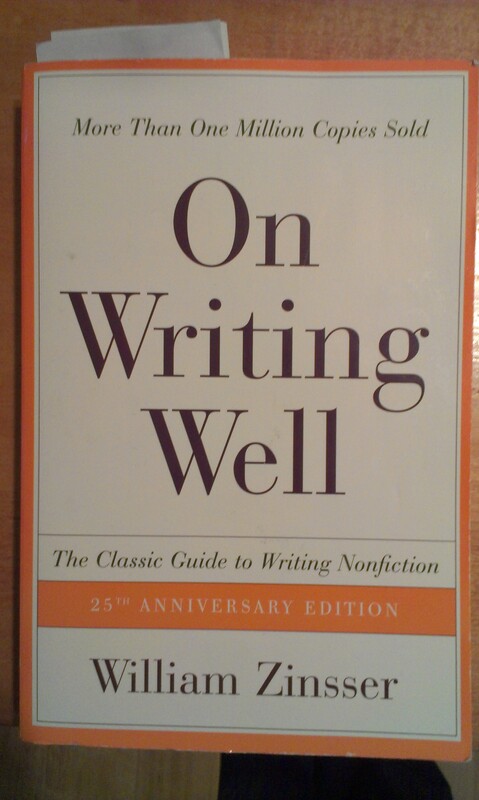 The other thing that happened was I reread William Zinsser’s On Writing Well. That’s basically what this blog is all about. It’s my attempt to make an honest connection with folks out there who share my passion and want to read about it. I may or may not be successful in my attempt, but at least I’m writing and that matters almost more than fishing. Now, if you’ll excuse me, the water calls. Looks like you’ve been successful already Doug, your first post is up. I very much enjoyed it. looking forward to future posts. That Steve fella you mentioned sounds like a cool dude.